The Departement of Bouches du Rhone - Pop. 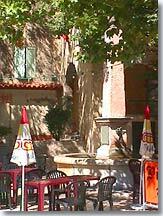 : 7.604 h.
20 km south-east of Salon de Provence on the N113. 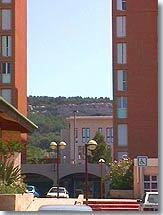 Close to the Marseille Marignane International Airport. Lying on the eastern shore of the Etang de Berre, just a stone’s throw from Marseille-Marignane airport and in the middle of the Salon de Provence, Aix en Provence, Marseille triangle, Vitrolles is, without a doubt, ideally situated at the crossroads of several major thoroughfares. 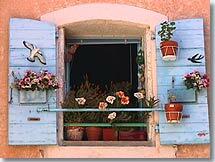 Old Vitrolles is a little breath of Provençal air above modern-day Vitrolles. 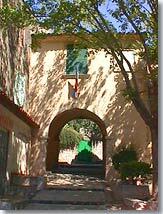 Renovated and restored with great care, you will enjoy walking through the little mediaeval lanes. 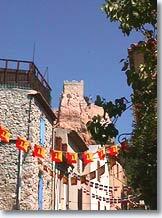 Originally, the village was surrounded by ramparts and traces of these can still be seen today. Right at the top you will see the 30-metre-high rock towering above the village and, at the summit, a Romanesque chapel and defensive tower which dates from the 10th-11th century. At the foot of the rock, the village lies peacefully like the backdrop of a Provençal crib scene: winding cobbled streets, rows of narrow cottages, flower-bedecked windows - all the elements of an authentic Provençal village. A circular walk with numbered markers takes you on a tour of the village’s historic heritage. The tour is most interesting - it is only short, since it is concentrated in just a few lanes, and includes around thirty numbered buildings. Vitrolles is bordered to the west by the Etang de Berre (the largest salt lake in Europe) where you will find an artificial beach (Plage des Marettes) and can enjoy sunbathing, games on the beach and swimming (check the quality of the water). The rock. Remains of the old ramparts. Maison de la Reine Jeanne (Queen Jeanne’s house), known as the Château (16th century). 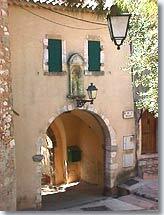 Porte Notre Dame (gate at the south entrance to the village) 17th century. 12th-century Saracen Tower on the rock. 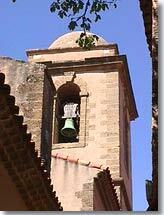 Romanesque chapel of Notre Dame de Vie. Griffon Inn (1666). Château de Montvalon (1697). Le Luxembourg (outbuildings and former Montvalon oil mill). Market on Thursday mornings (old village). Walking and mountain biking on the Arbois Plateau. Stadium. Several sports complexes. 3 swimming pools. Tennis. 2 riding centres. Sailing on the Etang de Berre. Fishing on the Lac de Tuilière. 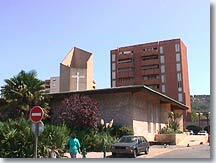 Marignane (8 km), Les Pennes Mirabeau (9 km), Rognac (10 km), St Victoret (7 km).